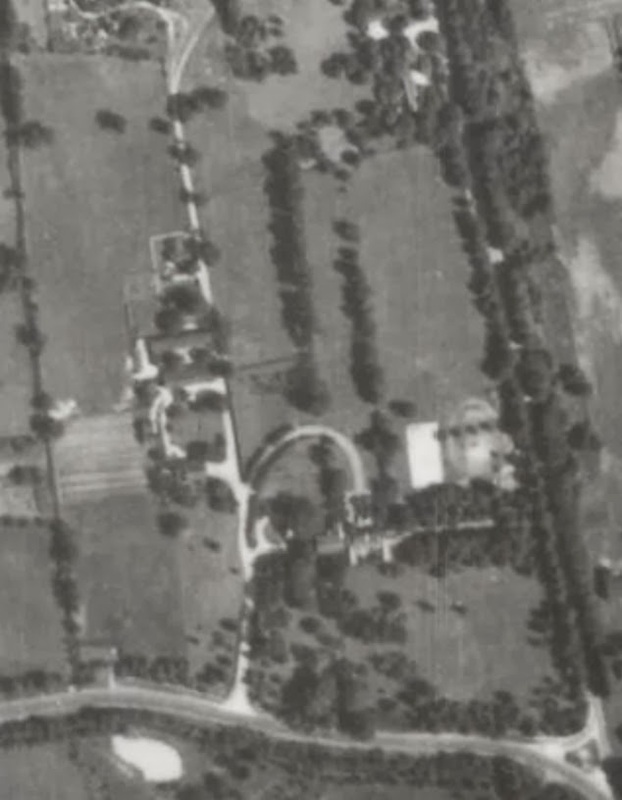 A 1938 aerial of the Albert C. Bostwick Jr. estate designed by James O'Connor in the early 1930s in Old Westbury. Click HERE for more on the Bostwick estate which has been for sale for years and is set to finally be demolished. Photo from Stony Brook University's Digital Archive. It looks like the mansion is still standing. The built the road going into the new development though.